Kapua Kava Bar is Now Open! Come celebrate the 2017 “July Fourth Weekend” at our bar or in our comfortable lounge while enjoying a shell of Kava, a mug of potent Kratom Tea or any of our tasty botanical elixirs. This weekend your first shell or kratom tea is 50% Off! 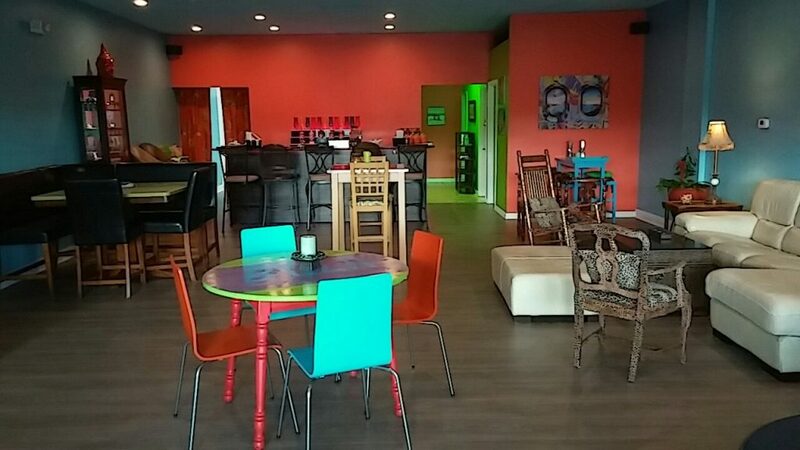 Kapua Kava Bar is located at 12951 Metro Pkwy Ste 15 Fort Myers, Florida, Just North of Daniels Pkwy. Curious if you’ll are getting a lot of business coming in yet? Really hope so…! Can’t believe we have a kava bar in Lee county. Wanna say that I give y’all a lot of props for opening your doors here for the local Kratom community. I haven’t been able to stop by yet. But certainly planning on it anytime that I’m that way (in Fort Myers)Wish you’ll were closer to the cape. I’d stop in every morning, lol. I just discovered you’ll because Im going outta town driving to Boston and wanted to checkout a kava bar that I had heard about that’s in Tampa. But when I googled kava bars in Tampa. Y’ALL popped up, couldn’t believe there was a local bar around here….WTF!?! When I asked ALL of my friends that also love (kava & kratom teas) they knew nothing about your store. Curious where are you guys advertising…? Social sites like instagram, Facebook, pipe shops, pool halls, etc…. I ask because I just wanna see your bar become successful! What your doing is phenomenal. Much appreciated, Hope to be in soon. As you found us, we are very heavy in online search results. We are also on two radio stations (93X and 105.5 Beat) We are also doing paid Facebook ads and will be hosting some high level events. We are sponsoring the Island Hopper Music Festival on Sanibel. Kava is by and large a new thing for SW Florida, so we are working hard to get the word out and educate our neighbors. We look forward to meeting you when you do make it in. Don’t be surprised if you find a Kapua Kava Bar in Cape Coral in the near future. Bula! Hope you guys open soon in Cape, there’s so many smoke shops popping up selling cheap Kratom in Cape. Also “health shops” selling Kava. They are both competing big time now, in Cape Coral. None of they’re products are comparable to yours. Not one place that actually prepares the teas or elixirs and most don’t even know about the products especially how to use Kratom and Kava. Cape Coral, needs you guys! We have a lot of business here! Come to the Cape!, Kupua Kava bar. The Cape would be my first choice for expansion. We are coming up on our first year and need to make sure we are well established operationally here first.